You came to the world of Arcanus as a fledgling wizard. Sparsely equipped with but a spell or two, you begin as the ruler of a tiny hamlet and its people. With these raw materials, you must build a thriving city, explore the two worlds of Arcanus and Myrror, expand your empire and learn new spells. In time, you will meet other wizards, each rising from equally humble beginnings, each having the same goal as you, namely conquering the worlds. How well you allocate resources, make use of your races’ potentials, seize opportunities and negotiate with other wizards determines your eventual success. In the end, though, there can be only one Master of Magic! 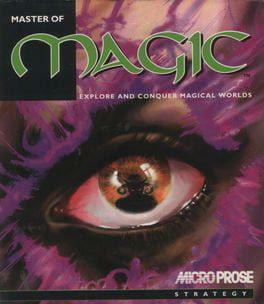 Master of Magic is available from 5.39 to 5.39 from 1 shops.